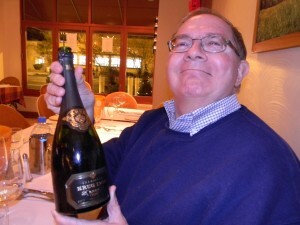 Once again, I am lucky to know so many cool and passionate wine-loving people in Washington DC. 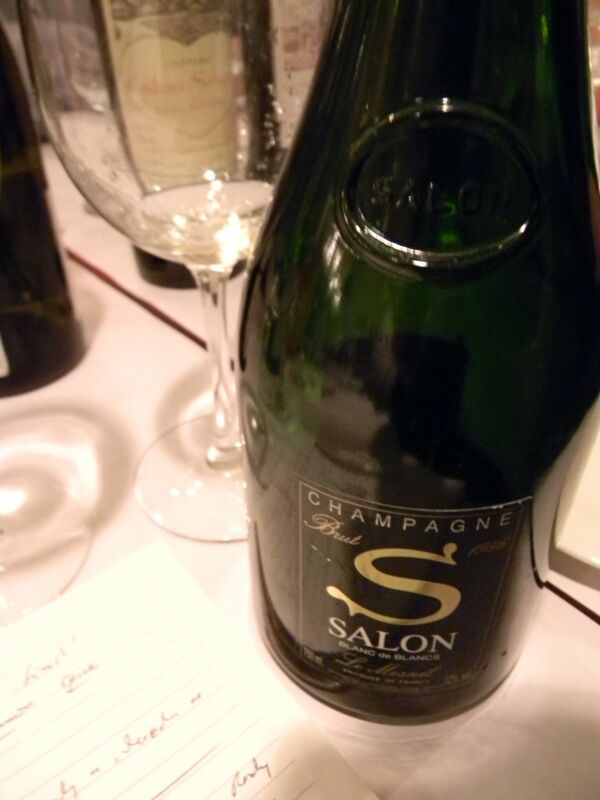 On December 29, we each brought some mighty special bottles, with no defects, no cork issues, quite lucky indeed. Participant Kevin Shin posted some superb notes on this dinner, and I agree with much of what he has written. 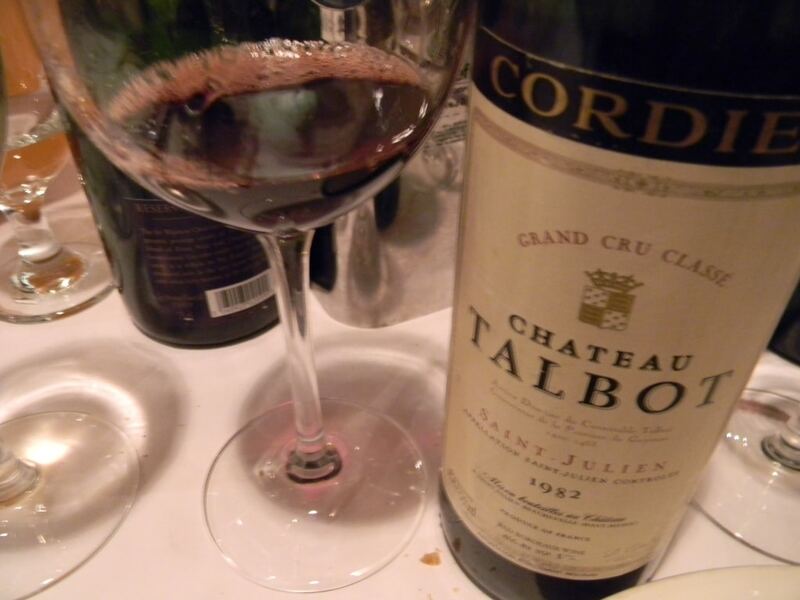 And we did not enjoy just Bordeaux… see below! Many thanks to yet another fine dining experience at Lavandou in Washington D.C., where service is super and with a smile. 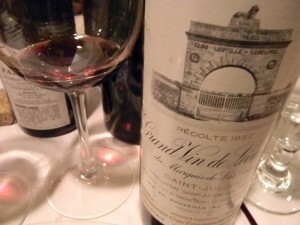 So as 2011 came to an end, I really wanted to revisit older school Bordeaux. 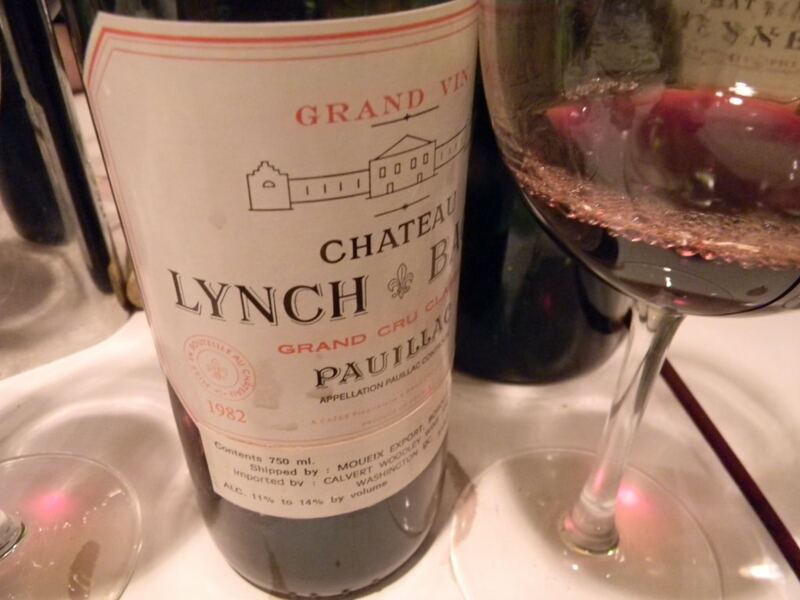 Below you will read notes on another series of Bordeaux from the 80s, this time all 1982s, the mythical vintage that had put Robert Parker on the map. The PREVIOUS EVENING (28 December), I had enjoyed mostly 1986s. It was interesting also to note noticeable evolution for certain bottles (Cos d’Estournel and Canon for example) that some of the same tasters had tried in December 2005 – see HERE – while other wines seemed to have improved, or were just perhaps better bottles (Calon Segur, for example). Salon 1996. Could this be the best Champagne I have ever had? Possible. It certainly qualifies as a revelatory experience. 1996 is such a brilliant vintage and here we have a superb expression of that brilliance. A slightly reticent nose precedes an exuberant, energy- filled palate, exuding chalky minerality that beguiles the palate into a state of near ecstasy. Excuse me, but it was that good. 100% Chardonnay sumptuousness, but with such backbone and structure, it is built to age. The energy and briskness however make it oh so pleasurable now. 99-100?? Thanks Kevin for this revelation. 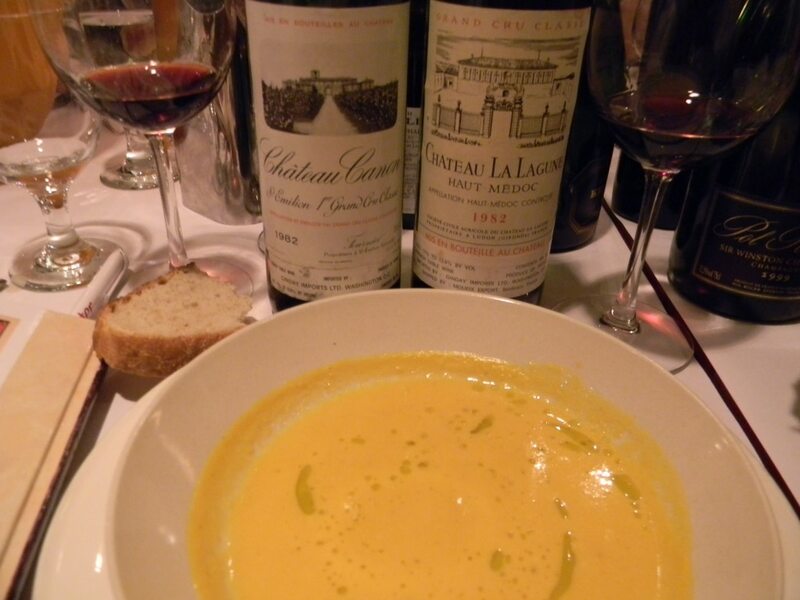 St Julien – best flight? 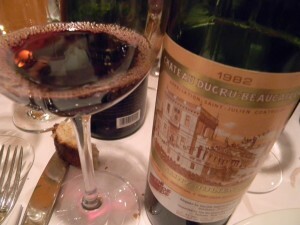 Chateau Ducru Beaucaillou 1982. I noticed a dusty aspect that seems somewhat typical of older Ducru, but it was refined dust… Floral aromatics combined with tobacco announced a rich, nuanced, licorice-like palate that was both long and focused. 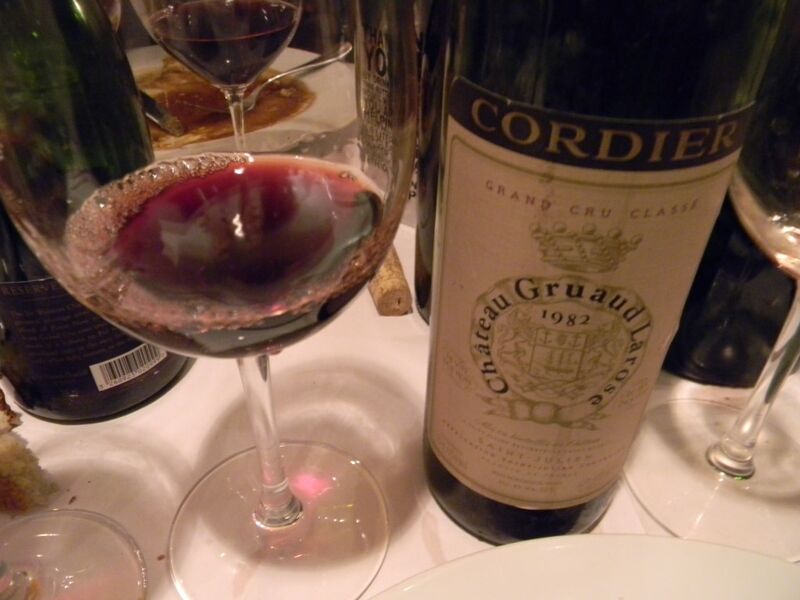 All throughout, this wine maintained an overall impression of refined elegance ending on a rather firm, graphite-like finish. A solid 95 or so… perhaps more? Thanks to Ken Barr for bringing this, as it was the first time I have ever tried a Ducru Beaucaillou 1982, at least I cannot recall ever having this before! 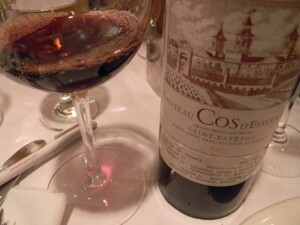 Chateau Leoville Las Cases 1982. Could we get better? Yes we can. Sap-filled wine, opulent yet with so much seductive grip. 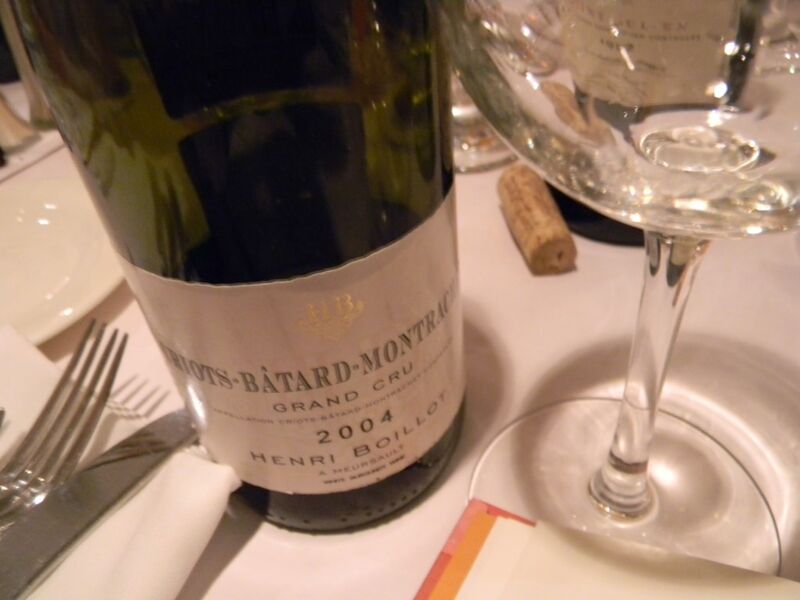 A wine that is spherical, complete, mixing elegance with depth and brightness. There is a feeling of both warm and cool fruit, still more youthful, on a slower evolutionary track than either of the above. 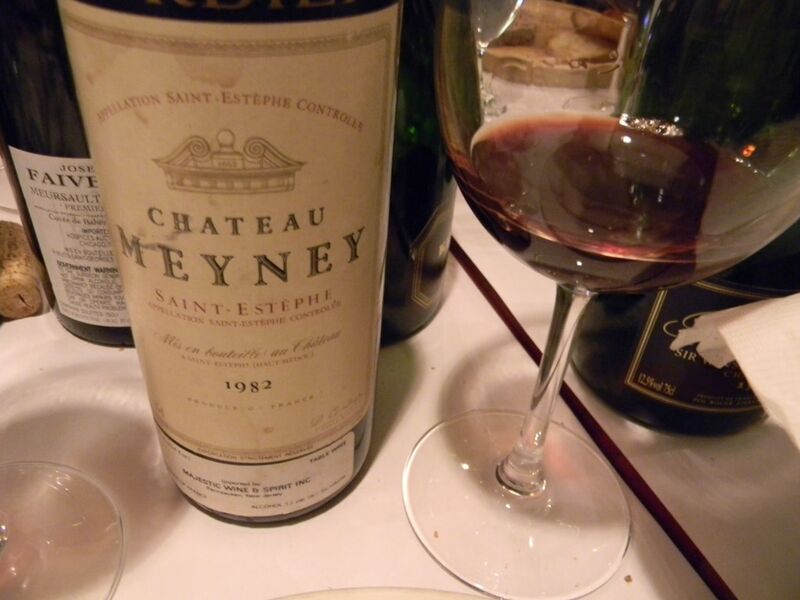 The cool fruit wins over, for me, and that is why I give it near 100, if I must use that number, this wine is rather there. 99, 100? The 1982 of the evening in any case. By this time, dear readers, I will admit to some palate fatigue. Unlike Kevin, I was not as studious this time around, having indulged more than using the spitting buckets… So I shall leave these last wines without scores…. 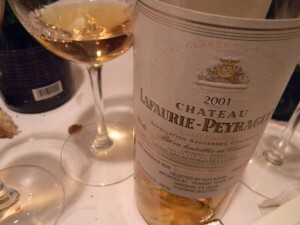 Château Lafaurie-Peyraguey 2001. Interesting, I did not get as bothered by the palate texture. Perhaps I am a sucker for thick textures? 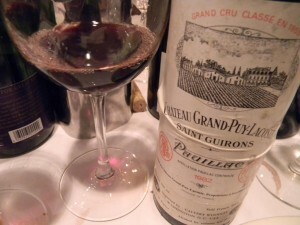 I found it more balanced at this stage, but it could certainly use more aging – and will improve. Like Kevin, I got the cream caramel, mango and apricot, but also ripe pear and even grapefruit. I really liked this Sauternes and bought three bottles online the next day. Thanks to Ken Brown for this bottle. Trimbach Pinot Gris Sélection de Grains Nobles 1994. Indeed, Kevin, Pinot Gris is not my favorite of the Alsace grape trio, but of course SGNs are different and this was lovely. Count on Trimbach for precision and crispiness, even in SGN wines. 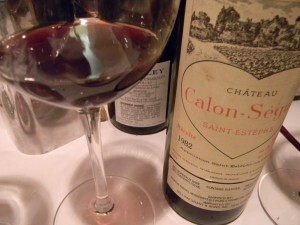 Yup, very pure nose indeed, with the bright acidity. Von Hövel Scharzhofberger Riesling Eiswein Mosel Saar Ruwer 1985. Many thanks to Ken for this, but I agree that the wine seemed just a tad tired compared to the previous entries. Great notes. Happy new year! Thanks Kevin for visiting the site. It was truly a special evening of wines. Happy New Year to you too – and see you soon for more wine. Panos, great notes. Filling in where you missed, I think David Zimmerman brought the Meursault, Karl and Adelaide brought the L’Eglise Clinet, Ben Delancy brought the LLC, Ken Barr brought the von Hovel and I brought the Trimbach. Great having you in town. We seem to always have really good tastings when you are around. Thanks for the link David! 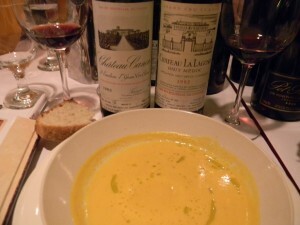 Looking forward to seeing you again soon for Chateau Figeac, and perhaps Bouchard! Thanks Howard for posting. And for matching the rest of the wines with our fellow tasters. That Trimbach was indeed excellent.